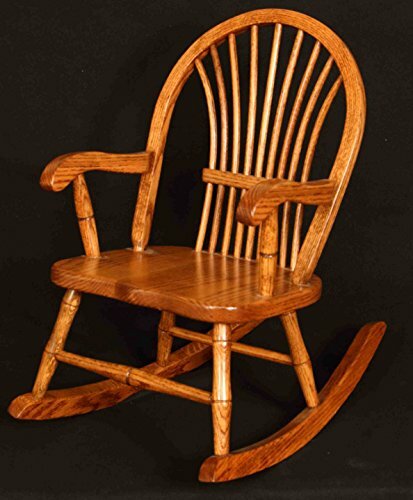 A solid oak child's sheaf rocker that you will be proud to add to your living decor. This piece of furniture is destined to become a family heirloom and will offer many years of enjoyment for your little ones. The height from the back of the seat to the floor is 25". We have discovered how much the little ones enjoy this rocker in our store. We keep one near the register so our littlest customers can rest while mama checks out. If you have any questions about this product by Old World Amish, contact us by completing and submitting the form below. If you are looking for a specif part number, please include it with your message.